Silver Stag Firesteel Magnesium Fire Starter. 7″ overall. 2 1/4″ composite flint steel rod has magnesium built into it. Steel is 1/4″ in diameter. 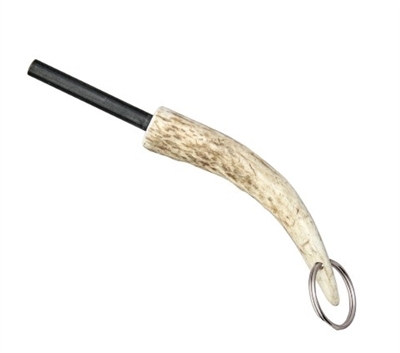 Hand-made shed American antler handle with keyring. Bulk packed.